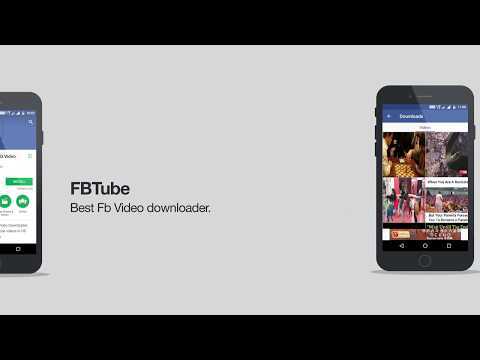 FTube – HD Video Download is a perfect Facebook video downloader for all Android users that want to download high-quality videos directly from Facebook. With this incredible tool, now you can save Facebook videos to your device and watch them whenever you like! Getting HD facebook videos has never been easier. Tons of additional great features are also available to make the downloading experience much smoother and enjoyable! Each Facebook video you download or stream on your device with FTube will be with high resolution and crystal-clear sound. You can either download a video you like or directly start streaming it in your favorite music/video player. But please remember that our app is not affiliated/endorsed by the official Facebook network. Any unauthorized re-uploading or downloading of contents and/or violations of Intellectual property rights is the sole responsibility of the user. It works really simple – all you have to do is open the app. Login with your Facebook account, tap Download or Stream and the video will start downloading. You just need to double click on any your selected videos to start downloading/surfing. Then, you can play it whenever you like, wherever you are, and share it with your friends. Subsequently, you can just copy the URL of the video without even login on Facebook! FbTube was added by youwetube in Jun 2017 and the latest update was made in Dec 2018. The list of alternatives was updated Apr 2019 There is a history of all activites on FbTube in our Activity Log. It's possible to update the information on FbTube or report it as discontinued, duplicated or spam. Download all the links, movies and audio clips of a page at the maximum speed with a single click. Freemake Video Downloader is a free video downloader for YouTube, Google, Facebook, Dailymotion and other sites. SAVEVIDEO.ME - helps to download videos directly from video sites (like Dailymotion, Facebook Videos, Vimeo, Twitter Videos, Vine, Rumble.com and many others...). Videoder lets you download unlimited music and videos absolutely free. We love to make things beautiful and thus the Videoder experience will delight you always. Save from any streaming sites by simply adding "dl" in the url and clicking enter. Alternatives to FbTube for Web, Windows, Mac, Android, Linux and more. Filter by license to discover only free or Open Source alternatives. This list contains a total of 25+ apps similar to FbTube. No reviews yet for FbTube, want to be first? Maybe you want to be the first to submit a comment about FbTube? Just click the button up to your right!